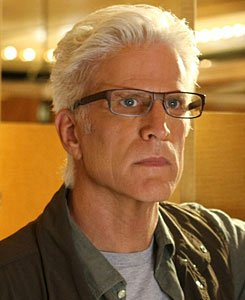 Multiple Emmy Award and Golden Globe Award winner Ted Danson's work can be seen on television, film and print. Currently, he also stars in the series, "Bored to Death." His other television roles include "Becker," on the Network, "Damages" and "Curb Your Enthusiasm." For 12 years he starred in "Cheers," garnering Golden Globe Awards in 1990 and 1991, and Emmy Awards in 1990 and 1993. His television film projects include "Knights of the South Bronx," "Our Fathers," "It Must Be Love," "Living with the Dead," "Thanks of a Grateful Nation" and "Something About Amelia," for which he won a Golden Globe Award for Best Actor in 1984. Danson's feature film credits include the January 2012 release of "Everybody Loves Whales," "Three Men and a Baby," "Three Men and a Little Lady," "Cousins," "Gulliver's Travels," "Mad Money" and "The Amateurs." Danson published his first book, Oceana: Our Endangered Oceans and What We Can Do to Save Them, which is currently in book stores. He was born in San Diego and lives in Los Angeles. His birth date is Dec. 29.